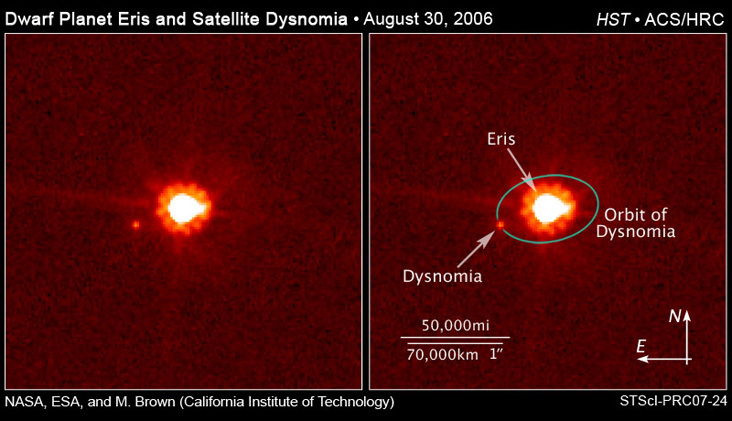 Discovered in 2005, Dysnomia is the only known moon of the distant dwarf planet Eris and was named after the daughter of the Greek goddess Eris. More Top Facts About The Lonely Moon! 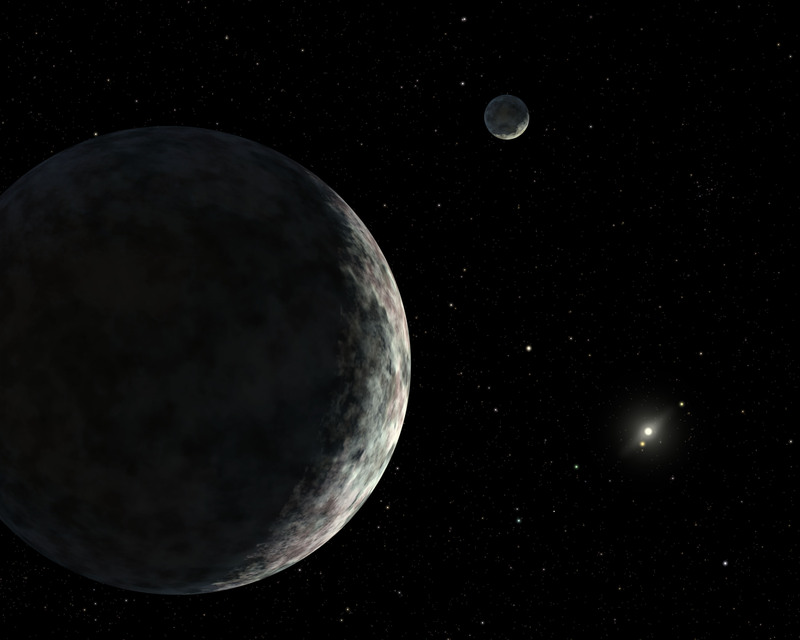 Dysnomia is currently the only known moon of the solar system's most massive dwarf planet Eris. Of all the known minor planets in the solar system only Pluto’s moon Charon has been confirmed as being larger. 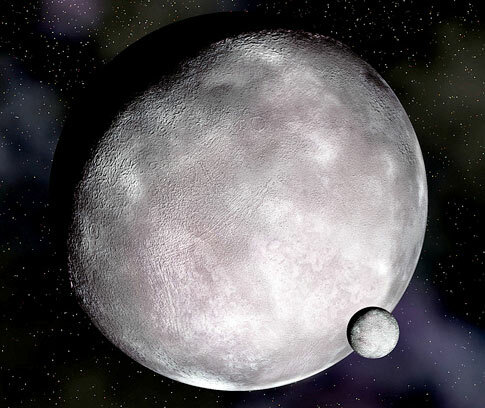 The discovery of Eris' moon allowed for precise calculations of Eris mass to be made, resulting in Eris being 27% more massive than Pluto (despite being thought to be slightly smaller in diameter). Following the discovery of Eris’ moon Dysnomia, astronomers now knew that the four brightest Kuiper Belt Objects (so far discovered) had companion moons while only less than 10% of faint KBO’s had moons. 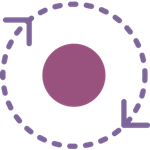 This suggests that impacts between large KBOs which lead to moon formation were common in the early solar system.